Last June 11, I attended a wedding of my good friend at Immaculate Heart of Mary Parish in Antipolo City. Reception was held at Cristina Villas. 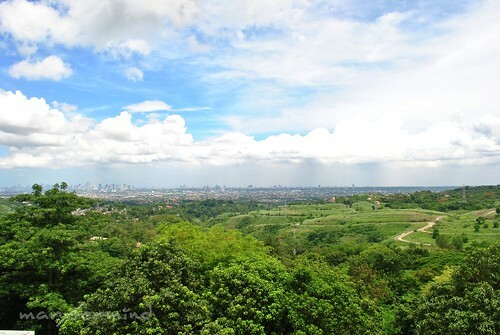 It was a mountain resort and hotel located in Antipolo as well. 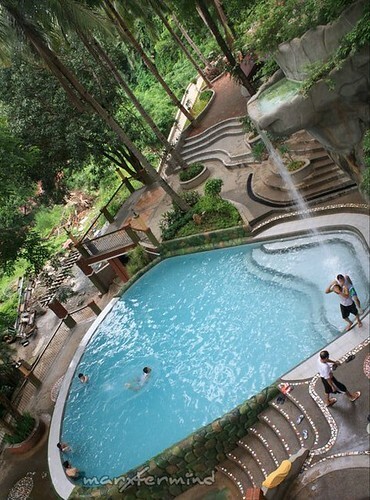 They said that the resort is one of the oldest resort in Antipolo, and it’s very evident because of how the hotel looks like, and the elevator… it was like elevator in an old hospital. Creepy! Since some of the couple’s friend will spend overnight at the resort too, me and my friends decided to move and get a standard room for the 7 of us. Imagine how we positioned ourselves to sleep! The room costs approximately PHP 1,900 with plated breakfast for two! Entrance fee in the resort was already paid by the couple since they held their wedding at the resort. Entrance fee is PHP 140 for adult – daytime and PHP 160 for adult – night time. For more info regarding resort’s fee and rental, you may check this link. 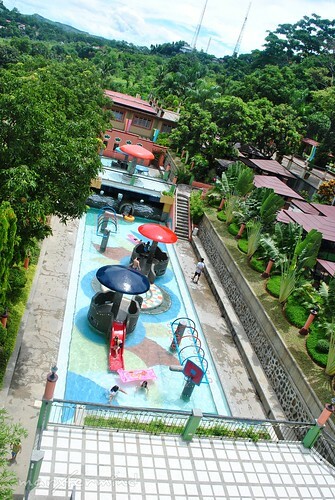 There are numerous pool / type of pool located in the resort. The first one that we had check was this one. I must say this area has the most number of people. Cottages were located upstairs and there were slides, too. But too bad, you still need to make effort for you to enjoy the slide, you need to go up, hassle! 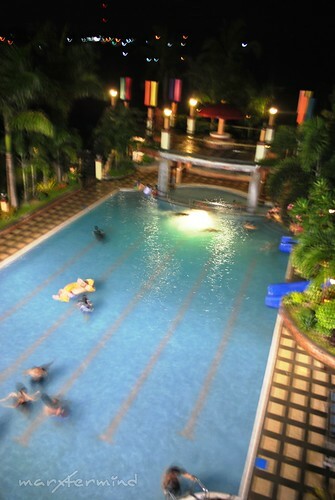 Unlike the pool in La Vista Pansol, the water here is very very very cold! It was like water came from a freezer, it could almost be an ice. Because I always chill quickly in the water, I get out from the pool and took my towel after awhile. There’s a way up, so we went up and explored the place. There are still areas in the resort that was being constructed. Hopefully bigger slides! 🙂 From all the pool I saw, this one is my favorite. It looks like an infinity pool. Too bad I wasn’t able to experience swimming there because of the wedding preparations and so forth, we just sneaked out and roamed the place as quickly as we can. 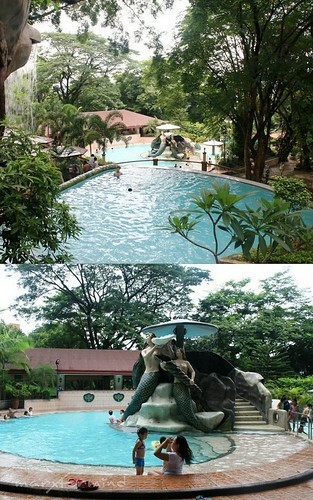 Here’s another pool that can be found at the side area of the hotel. This pool is designed for kids and play. There are only 2 pools opened during at night the first one and the pool across Basilica (area for events – it was where the couple’s wedding party took place). Sorry if I had no picture of it because I’m not in the mood to take picture – moody lang? But seriously, I forgot to because I was too tired from an all day wedding preparation to wedding program. We woke up at around 10:00 AM… and still hungry. My friends weren’t able to get the free plated breakfast for two, too bad! Before we checked out, I went to the other room first (where the couple’s friend stayed for the night) and took a picture of the overlooking. We checked out at 12:00 PM. Before we went home, we dropped by at the nearest Jollibee and had lunch. Previous story Conti’s Cakes for Dessert! how many are you in the room po tsaka howmuch? email niyo naman po ako abigail.lusuegro@hilton.com thank you! how much room rent po? @Maricar, papa-deliver kami mcdo pero under renovatin daw ung mcdo na malapit so nagtiis na lang kami! Yung nagfire dance, friends yan ng couple, may presentation din kami pero mas maganda sa kanila! Hahaha! @pinoy adventurista, oo maganda sa Cristina Villas un nga lang ang lamig ng tubig, taas kasi ng bundok! yikes! hysteria. mainit ang ulo ko pag gutom. hahah! kaya ayoko ng nangyari sa inyo. 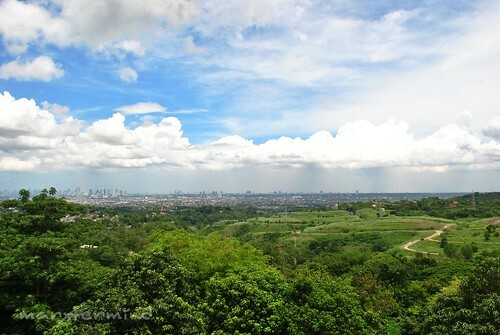 Buti na lang maganda nga yung view. pasaway ang management na yan. 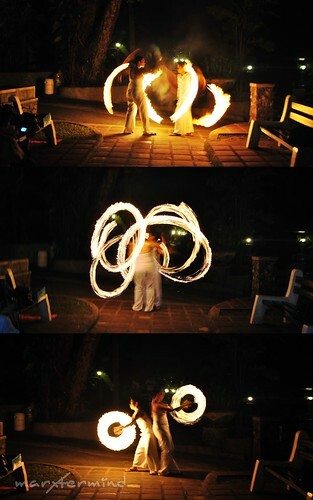 aliw yung firedance. Never pa ko nakakita ng ganyan e. ano ba yun regular na nagpapakitang gilas or pag may wedding or any event lang?